Warner/Chappell Music and Liz Rose Music have signed publishing agreements with singer/songwriter Alyssa Micaela. Micaela’s single, “Getaway Car,” is featured on Spotify’s Hot Country, New Boots and Wild Country playlists, and garnered more than 100,000 streams in the first three days since its release. Her music is rooted in classic country as well as her Hispanic heritage. 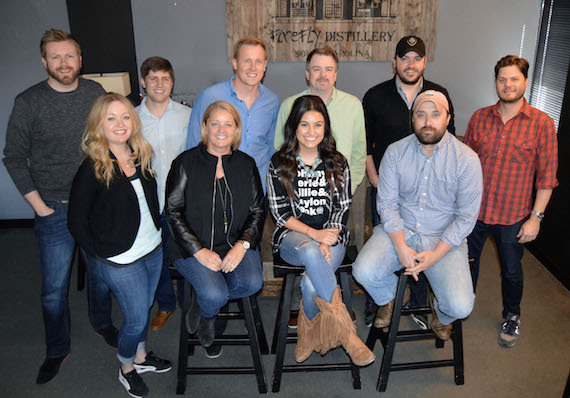 The Odessa, Texas, native met with songwriter Liz Rose (Taylor Swift’s “White Horse,” Little Big Town’s “Girl Crush”) seven years ago at the age of 16. The meeting turned into a mentorship and the beginning of Micaela’s path toward becoming a singer-songwriter. She has opened for artists such as Dierks Bentley, Eli Young Band and Willie Nelson.